One of the best things about blogging is hearing from and occasionally meeting so many wonderful people from all over the world. 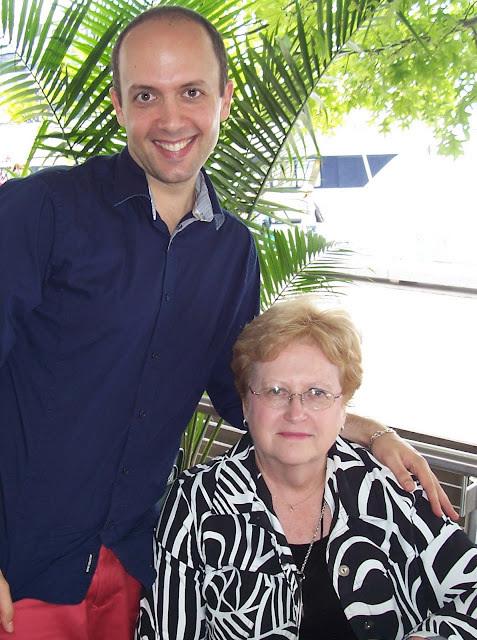 One such wonderful person is Joyce Pardee, a native of Lincoln, Nebraska. I first met Joyce in 2006 at the Good Things event, an MSLO-sponsored event to celebrate the 15th anniversary of Martha Stewart Living magazine. She and her friend Christine more or less adopted me during that two-day Marthafest in New York City. 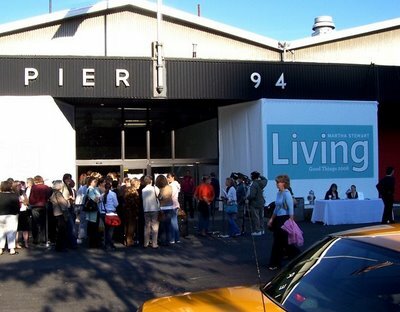 We shared our stories and enjoyed each other's company at a taping of The Martha Stewart Show and then at the Good Things fair the following day, which was held at Pier 94 on Manhattan's waterfront. While we had always hoped we would see each other again, we weren't sure when or if that would happen. Well, five years later, today was the day! Joyce is embarking on an epic bus tour of four of Canada's major cities: Toronto, Ottawa, Montreal and Quebec City. A few weeks ago she contacted me to let me know she would be in town and we worked out a time and meeting place to hold our reunion. Joyce, who is terrified of heights, avoided going to the top of the CN Tower with her friends by going to lunch with me. It was my honour to not only treat Joyce to lunch at a cute little bistro by the waterfront (above) but to spend some quality time with her. She is one of the warmest, most endearing and generous souls anyone could ever meet. 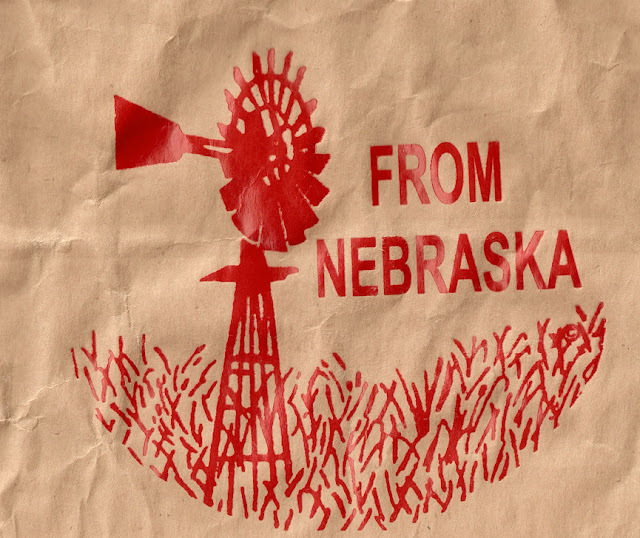 She brought a little gift bag for me filled with treats from Nebraska, including an assortment of gourmet popcorns, roasted almonds that are made in her hometown of Lincoln, Dorothy Lynch Homestyle Dressing (Nebraska's most famous salad dressing) and Misty's all-purpose seasoning for ribs. The bag itself was cute and had an adorable print on it (below), which I intend on keeping in my scrapbook. Before saying goodbye to Joyce, who was on a fairly tight schedule, I got to see photos of her amazing cupcake creations and some of the beautiful handmade decorations she created for her wedding. Joyce is an award-winning cook and a Master Gardener who tends the gardens of the governor's mansion during her time off. After lunch we got caught in a savage thunder storm in the shadow of the CN Tower waiting for her tour group to return from its summit. We chatted about our lives and our goals and she told me all about her travels to India, England and Scotland. She is a spirited and curious friend, and I have little doubt that I will see Joyce again. Blogs are like very special windows, opening onto unexpected views filled with a landscape full of people - some as special and lovely as Joyce. That 2006 event was the first post I read on your blog and you spoke so kindly if those two ladies. How wonderful to have been able to meet up. It sounds like you had a great time reminiscing. It was really special, Pru! Amazing how people connect sometimes.